Originally Posted by Mel C.
Oh we want to go see that soon too. Have fun! Looking forward to going to see my daughter tonight and the play that she is stage managing. Looking forward to a weekend of getting things done. Looking forward to Monday- We work on veteran's day. My work husband is a vet and shouldn't be working, but he is, so I'm taking him out for lunch. Wednesday, Gilmore Girls Trivia at a local pub. Spending time with my love and seeing some of her family. 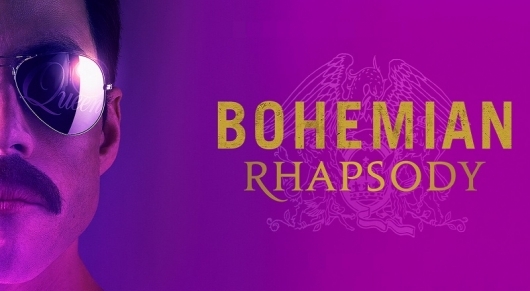 Going to see _Bohemian Rhapsody_ again for the 2nd time! This time in RPX! A fun filled weekend! My daughter, husband and babies will be here shortly!!! I'm so excited and happy!!! Saturday, we have an entire day of festivities for a debutant celebration and I'm so happy some of my kiddos will join me...once a Nana always a Nana...❤❤❤Sunday who knows but it'll be great too, I'm sure! The visit is amazing! Going to see the Alamo with my family, shopping at the RiverCenter Mall then dinner at THE Mexican restaurant downtown, maybe a movie if the kiddos are up to it. (They usually are). For the rain and storms to go away for a while. I'm tired of the damage, tired of watching the news showing stupid drivers driving past barricades to drive through high water, tired of everything being soggy and tired (although amused) of doggies turned mud puppies. I'm looking forward to a whole weekend with her. When we are both together home again! I’m looking forward to this weekend! Our friend is keeping our little dogger for two nights, and we are going to Sedona, AZ for the weekend. We will be staying in a Casita instead of a room, so plenty of space to spread out and enjoy each other. Seeing my mom this weekend. The holidays being over. Bah humbug! I’m actually looking forward to the holidays this year. Helping my girlfriend decorate her house. This will be our first Christmas together. Hopefully the first of many! She has dealt with loss over the past two years and hasn’t felt like decorating much, but this year she has all kinds of ideas about decorating. It’s pretty cute. Our first Yule celebration in our home!